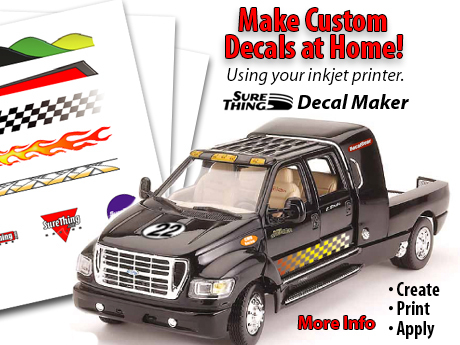 With Decal Maker Standard Edition you can create and print your own custom decals! Need More Decal Paper? Now you can buy refill packs of Testors Decal Paper for inkjet printers. Get it now! Looking for decal paper printing instructions? Click here (Acrobat Reader required).